Houston isn’t exactly known for its cold winters, but many RV owners in Houston retire their RVs in the fall and store them until the spring and summer months. 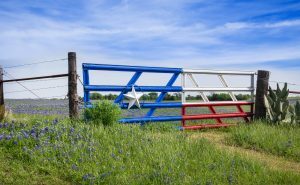 If you’re like most Houston RV owners, you’re probably looking forward to hitting the road in your RV and exploring Texas or the rest of our great country. 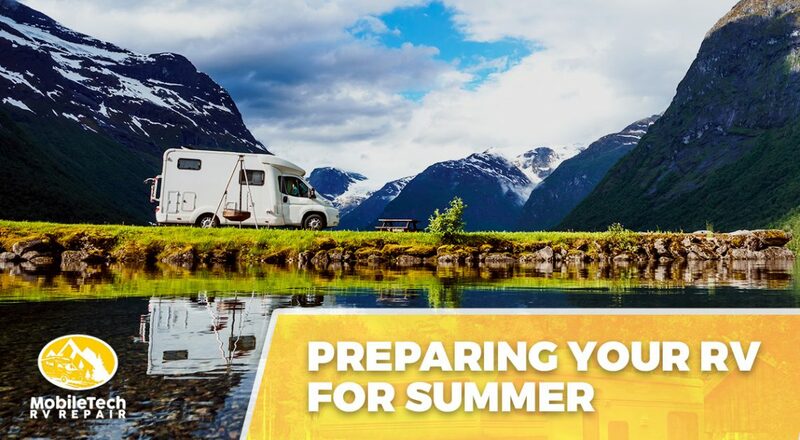 It’s important to ensure that you’ve prepared your RV for all of your travels before you begin your summer journeys, and in today’s post, we’ll explain a few ways you can prepare your RV for the summer months. MobileTech RV is proud to provide North Houston and the surrounding areas with the best RV service in the state! We’ve helped hundreds of people in North Houston prepare and remodel their RVs in time for summer, and we’d love to help you with yours! Give us a call at 936-228-8980 or contact us via our website to schedule an appointment! As we noted above, many Houston RV owners use their RVs only during the summer months, and although Houston has warmer winters than the rest of the country, it’s always a good idea to check your RV for issues if it’s been a few months since you last used it. Even if your RV is your full-time home, you should plan on doing seasonal inspections to ensure that everything is working properly. Preventative maintenance will not only save you money, but it could also save your life! Start by examining the exterior of your RV. Are there any cracks or noticeable holes in the sides or on the roof? If you store your RV outside, check to make sure that debris hasn’t torn any holes in your siding or on the roof; the last thing you want is to have all of your cool air escaping through holes as the weather begins to warm up! For the same reason, you should check the condition of the caulking around your RV’s windows and vents. Even tiny openings can allow water to enter your RV, and water can cause a substantial amount of damage to a variety of components in your RV. If you do find any holes or cracks, give one of our friendly RV technicians a call. We can provide you with RV repair service at price you can afford. The next component of your RV that you should inspect is your tires. Inspect the tread to see if the tires will need to be changed in the near future, or to see if they should be changed before you hit the road. Bald and cracked tires are a hazard for you and other drivers alike, so keep yourself safe by keeping up with your tires. You’ll also want to check your tire pressure before you start up your RV, and this is a fairly simple task. Your RV owner’s manual should come with a tire pressure recommendation, but if you’ve misplaced your owner’s manual, you can always call the manufacturer to inquire about your tires. You should inspect your appliances after you’ve looked at your tires and RV exterior. Check to ensure that your refrigerator, microwave, and any other appliances you’ve furnished your RV with are working properly. Now is also a great time to upgrade or replace any appliances that are beginning to become worn. Many ofthe RV appliances on today’s market are far more energy efficient than their predecessors, and a new fridge or microwave might be just what your RV needs to make your summer travels a success. 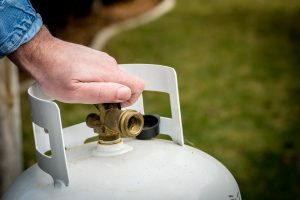 If your RV is outfitted with propane appliances, check to ensure that your propane tank is full and functioning properly. Try lighting a burner on your stove to ensure that everything is working properly, and don’t forget to double-check that your gas detection system is functioning. You should also make sure to inspect your RV furniture before hitting the road. Although you will have already inspected your RV’s exterior for holes and cracks, your furniture’s condition can also alert you to any water damage that may be occurring in your RV. Look to see if there are signs of mold, mildew, or wet spots that have recently formed. If you notice signs of water damage or mold, it’s probably a good idea to invest in RV furniture replacement. Mold is an insidious problem that can spread to your floor and ceiling if left untreated, and some forms of mold can also be seriously detrimental to your health. Contact MobileTech RV Repair if you’re interested in getting a quote from us regarding an RV remodel. We hope that these tips will help you prepare your RV for summer. If you need RV maintenance or you’re thinking about an RV remodel, don’t hesitate to contact MobileTech RV Repair! We provide unparalleled RV service in North Houston, and we look forward to helping you prepare your RV for all of your upcoming adventures. Call us at 936-228-8980 today! ©2017 MobileTech RV Repair - Do not copy. All rights reserved.